Your project begins with a consultation to discuss your goals and budget. This is the perfect time to share notes and photos you’ve collected as inspiration. Bringing pictures of the existing space helps us to fully understand the scope and details of the project. We will set up a meeting to measure and take pictures of the space. Our designers will prepare floor plans and preliminary bids for the cost associated with the proposed design. After we review drawings, the plans will be fine tuned as needed. At our next meeting, we’ll explore materials for the remodel. We will then provide you with the final cost estimate for your project as well as a timeline. The last step is to finalize selections and place the order. With these last two steps there will be a collaboration between everyone associated with the project. For a fun, simple way to get organized and inspired about your project, check out Houzz. They’re always packed with creative and inspiring designs! Sign up for a free account and save the photos you like into an “idea book.” Your idea book can be emailed to us so we can know more about your design style, likes, and dislikes. With there being such a large amount of choices, it’s easy to get overwhelmed! If you’re feeling like you can’t make a decision just go back to the basics. Start with your original wish list; eliminate any ideas that you have decided against and add the inspiration that you’ve fallen in love with. Your Tim Flury Kitchen & Bath design specialist will be happy to guide you through the whole process with your style, space, and budget in mind! Including the design process, a kitchen remodel can take approximately 2-3 months from start to finish. Each project is very different and we can’t give a one-size-fits-all timeframe for either kitchen or bath renovations. Once we are able to determine the specific needs of your project, we can provide you with a reasonable time table. The short answer… that depends on how much you want to spend. Our Design Team works closely with you to determine the costs associated with the kitchen or bath remodel and to help you develop a reasonable budget. The majority of Tim Flury Kitchen and Bath clients are referrals from satisfied customers who have had projects designed by our team. Tim Flury Kitchen and Bath always endeavors to design a project appropriate to the value of the home, not too expensive, and not too limiting. I want to remodel my kitchen and/or bathroom. What's the first step? The first step is to make your wish list. Pull together pictures or inspiration that shows styles, colors, and designs you like. 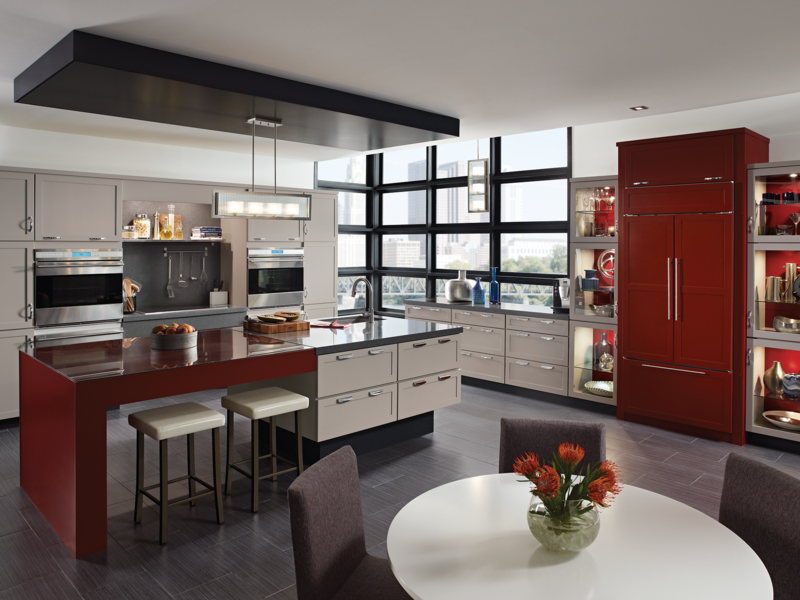 Visit us on Houzz for even more design inspiration! Take basic measurements of the area you will be working in and the placement of the current appliances, sinks, etc. if you can. Then stop into our showroom and consult with our kitchen and bathroom design specialists to chat about the next step. We accept most major credit cards, checks, or cash.